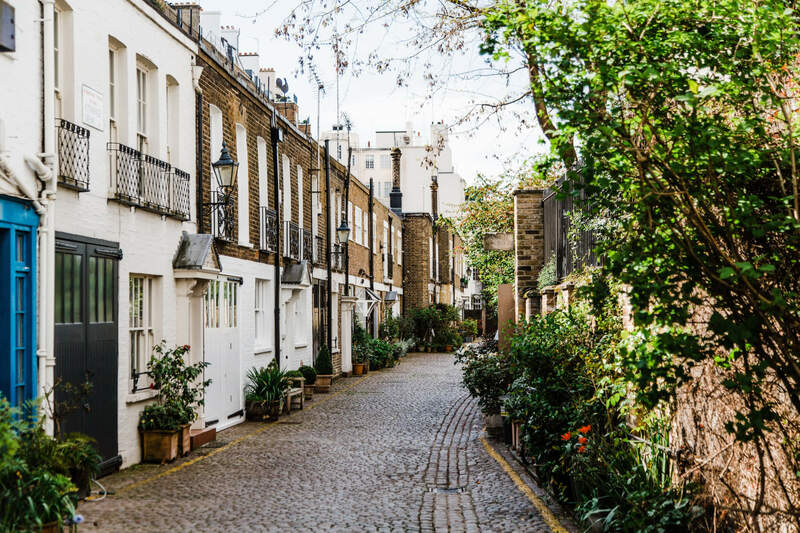 Flat owners acting alone have the right to claim a new lease of their flat after 2 years of ownership in return for payment of a premium and landlord’s costs broadly speaking. Alternatively acting in concert with other flat owners they can acquire the freehold to their block in certain circumstances, again paying a premium and costs. For each of these rights it is essential to know whether particular units are a “flat” for the purpose of the legislation. If a unit hasn’t been developed sufficiently to constitute a flat then you couldn’t claim a new lease of it. Equally if you were claiming the freehold to a block of flats qualification will be affected by the number of “flats” within it that are held by qualifying tenants. The high court has dealt with this issue in the case of Aldford House Freehold Limited v Grosvenor (Mayfair) Estate and K Group Holding Inc.  EWHC 3430 (Ch). In this case Aldford House Freehold Limited had been formed by participating flat owners to seek to acquire the freehold of the building known as Aldford House acting as their nominee in the process. One of the issues the high court had to determine was how many flats the building contained; the tenant’s nominee asserted there were 26 flats and the landlord 30. The discrepancy arose because the sixth and seventh floors had at one time comprised a single flat on each floor however planning permission had been obtained and new leases granted for there to be two flats on each floor and works were in hand to create them at the point the freehold claim notice was given. At that time dividing walls had been erected to separate the two flats on each floor and partition screen erected on the balconies at each level. Work was undertaken to install suspended ceilings and new boarding on the floors. The new dividing walls each had two pairs of large doors in them intended to allow builders to pass during the course of the construction work being large flat panel doors to allow materials through which on the evidence were kept locked. So as at the date the claim notice was given for when the matter was judged the structural works had been completed but no internal walls (save the above door dividing the individual flats), pipes, cables or other items of fit out had been installed. Separate access to each of the four flats could be gained via the lifts and staircase within the building. If there were 30 flats in the building then qualifying tenants holding at least 15 of them would need to participate. Against that the participant’s solicitor had purported to sign on behalf of 17 and the freeholder challenged their authority to have signed the notice for participation for some of these and the entitlement of others to participate. Another issue in the case was whether the solicitor had valid authority on behalf of three of the participating tenants and whether there were in fact any qualifying tenants within the meaning of the legislation in respect of several flats due to their interest being held by separate underleases from different landlords. The number of flats in the building is important for collective enfranchisement as there must be two or more flats held by qualifying tenants and the total number of flats held by such tenants must be not less than two-thirds of the total number of flats contained in the premises. The claim notice must be given by such tenants in respect of not less than half of the total number of flats in the building (not half of the number of flats held by qualifying tenants). To constitute a “flat” for the purpose of the enfranchisement legislation amongst other things it must be a separate set of premises which are constructed or adapted for use for the purposes of a dwelling (so occupied or intended to be as a separate dwelling). The existence and terms of the lease of the units is material following the Barrie House case and the terms of the leases in this case were determined to separately let the relevant “flats” by virtue of their plans and description and their function by the use permitted by the lease. The tenants’ argument that the units were not “constructed or adapted for use for the purpose of a dwelling” at the point the freehold claim notice was given as at that point they were not capable of being used as a dwelling was rejected on the basis that the clear purpose of the construction of each of the new units was as a dwelling. The tenants also challenged whether the units had the identity or function or physical character as dwellings or for use for the purpose of a dwelling. Again this was rejected on the basis that the test is not whether the premises have reached such an extent of fitting out or remains in such good condition that it can actually be used for living, eating and sleeping purposes on the date the freehold claim notice is given but instead “concerned with the purpose for which the premises had been constructed or subsequently adapted”. This followed the Boss Holdings case where the severe dilapidation of a house didn’t detract from it having been designed for living in. So it determined that there were 30 flats in the building and so the first claim notice was invalid for want of enough participants’ signatures. The court therefore proceeded to determine whether the application to it for a declaration as to entitlement covered only the first ineffective claim notice or the second one as well. Unfortunately for the participants it held against them on the basis that the court application only spoke to the first freehold claim notice. The lesson for flats owners seeking to claim a new lease or the freehold interest in their building is that they need to carefully consider whether the relevant part of the building has been developed to the extent that there are additional flats present for the purpose of enfranchisement. View What effect will BREXIT have on Housing Finance?